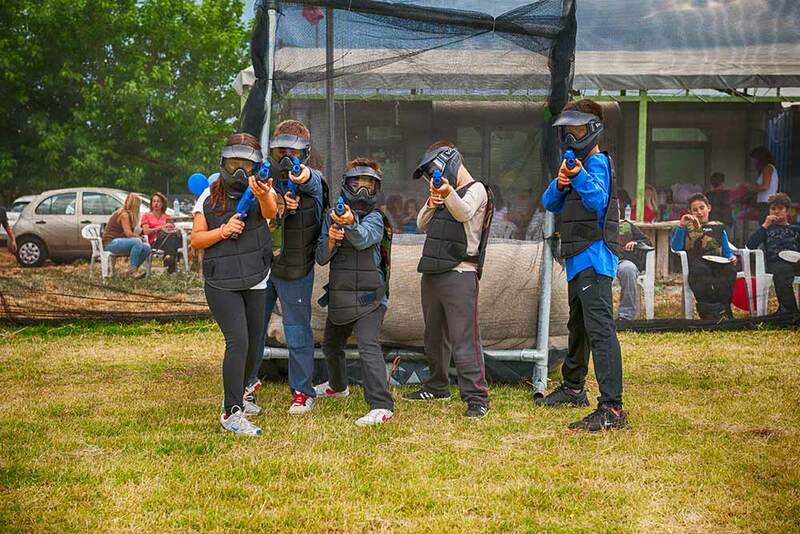 If your kids aren’t that young any more or they are just bored of the games found in kid’s playgrounds and you are looking for fresh ideas for kid’s party, Adventure Paintball gives you the solution. 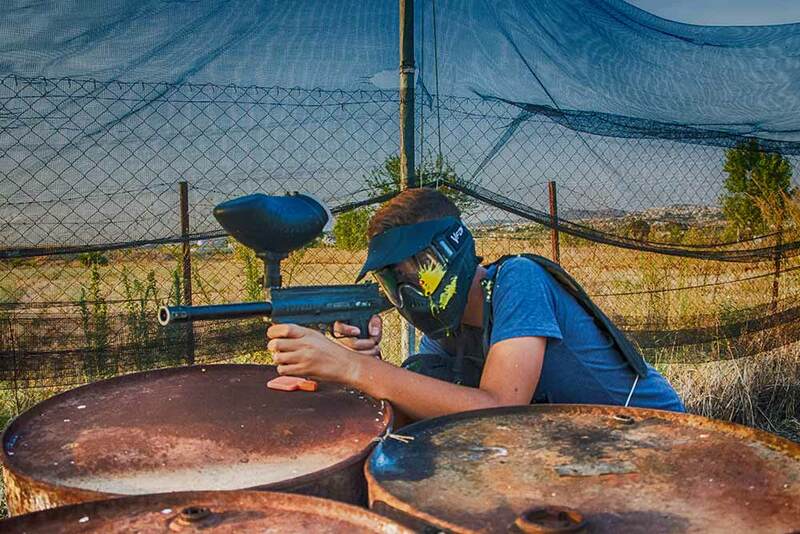 Between all kinds of kid’s parties and birthday parties, a Paintball party is perhaps the most original and alternative idea you can find in Thessaloniki and the best gift you could make to your child. Usually, the venues for kids are too small and the available games are monotonous and trivial. This is not the case in Adventure Paintball. Our specially designed facilities are suitable for or organizing the most original, the most exciting, the most active kid’s party for boys and girls alike. 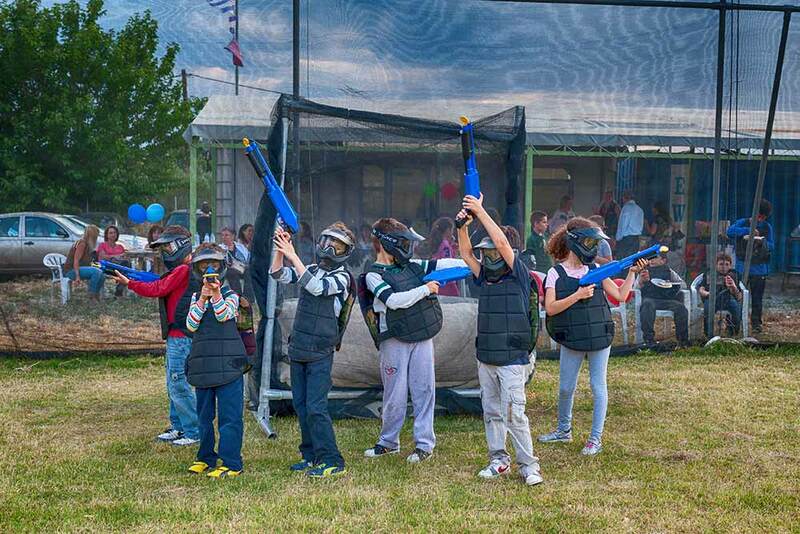 Adventure Paintball having a huge experience in organizing kid’s parties and birthday parties in Thessaloniki comes to change the norm. 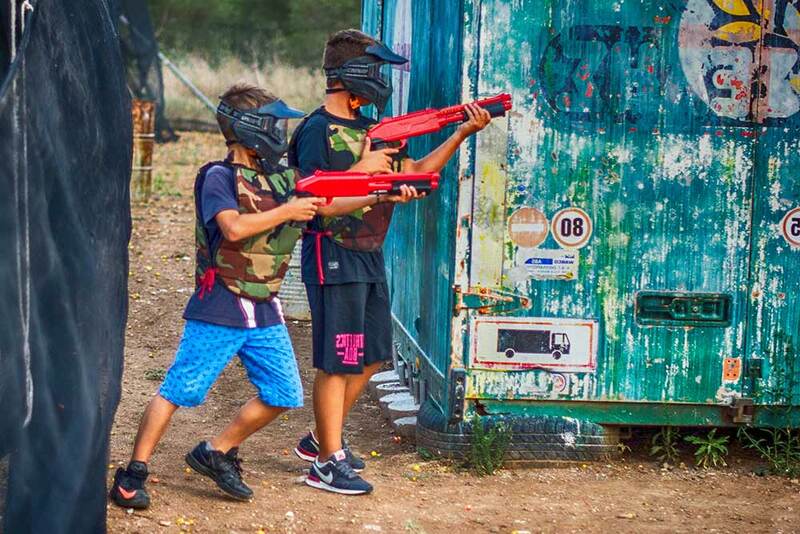 Below, you can find all the information needed to organize a kid’s Paintball party. ♦ Which ages does it address to? A kid’s Paintball party addresses to kids aged 8 years or older. 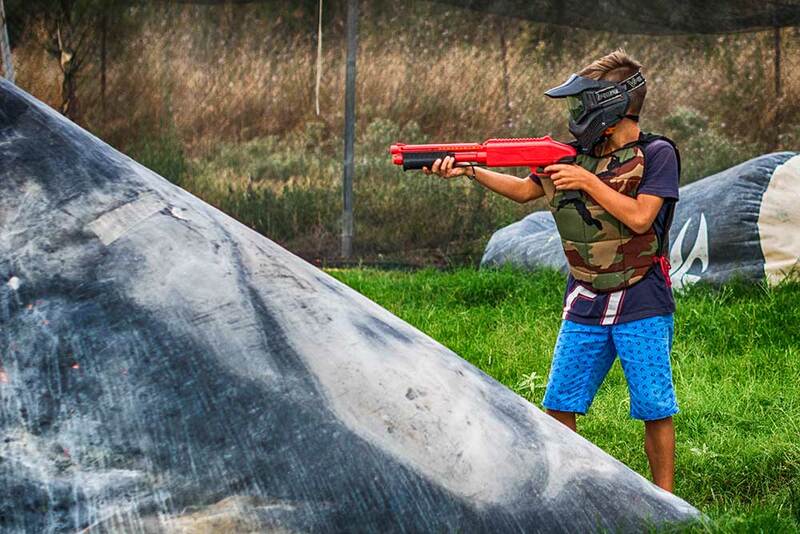 For ages between 8 and 12 years, kids will play with the equipment used for kid’s paintball. For kids aged 13 and above the equipment that is also used by adults is usually used. Of course, if kids over the age of 12 wish to play with the equipment used in kid’s paintball, there is absolutely no problem. ♦ Is there a limit in how many kids can participate? The minimum charge for a kid’s party is for 8 kids. In case the number of kids is smaller, then the charge will still be for 8 kids. There is no limit for the maximum number of participating kids, as parties with more than 30 kids are common. ♦ Can girls play also? Of course! Girls not only enjoy paintball just as much as boys do, since they do not lack any skills, but they also organize their own paintball parties. The appointment for a children’s party lasts for three (3) hours. ♦ Is there any particular time-schedule? The first hour is the hour of attendance and briefing. The first 30 minutes are dedicated to the attendance of the guests and the kids. After these 30 minutes pass, the kids are briefed about the rules of the game and the safety rules and they receive their gear (mask and vest). This procedure lasts about 30 more minutes. The second hour is the hour of the game. Six games are played (divided between as many of our fields as are available) which – along with the preparation time between games – last a total of about one hour. After the game ends and the equipment is delivered, its time for he cake to be cut and for the kids to eat. After the kids finish eating, they have the rest of the third hour free. During this time, they can try the pedal go-kart (if you have chosen it an extra activity for your party) or play at the space located outside the paintball fields. 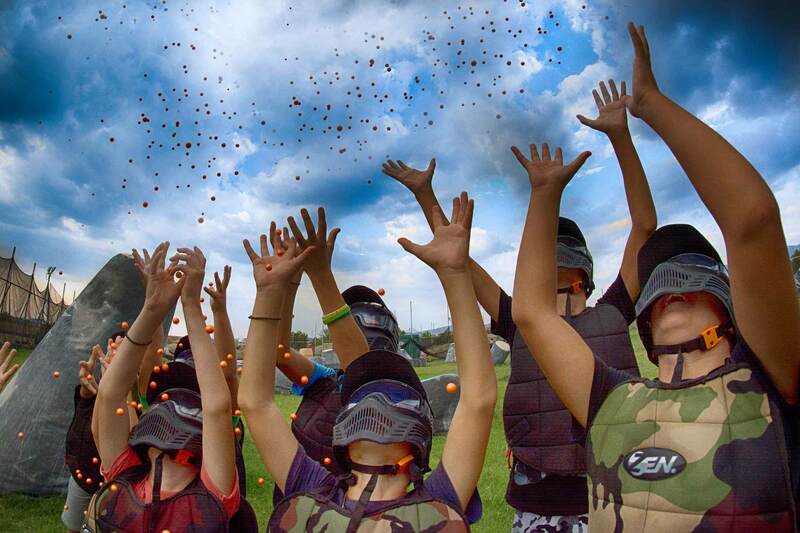 ♦ Is there any other activity for the kids after they finish playing paintball? 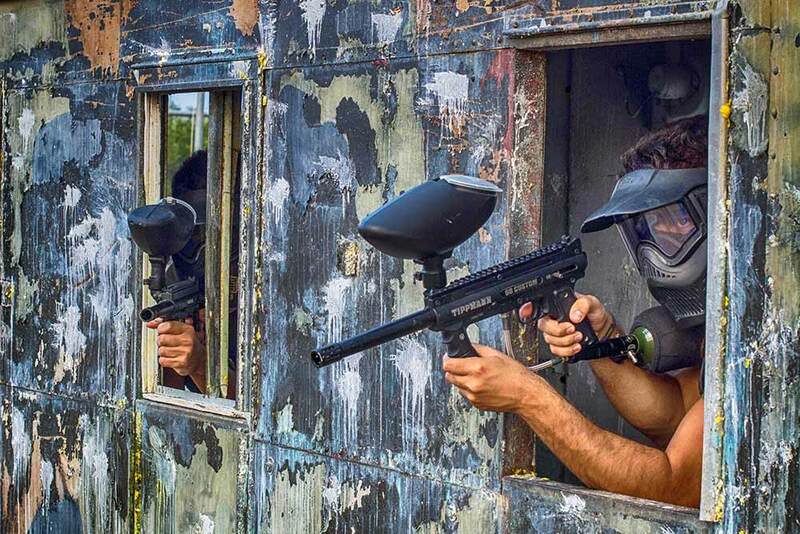 Upon completion of the paintball games, you have the option of adding to your party the activity of the Go Kart which will multiply the kid’s entertainment. After the cut of the cake, we reorganize the same teams that will again compete against each other but on the 4 wheels this time. 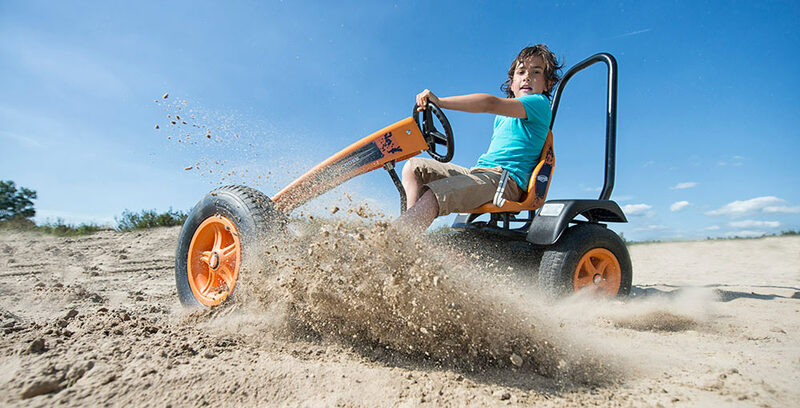 Throttle, yelling, laughter, agony, applause, joy and adrenaline are just some of the features of the pedal go kart. Kids are entertained with this extra activity for about 20 minutes. ♦ Is there any space for guest and kids to be seated? There is the space of the cafeteria where your guests as well as the kids can sit, after they finish with their game. ♦ Can I bring my own drinkable treats (water, juices, etc)? No. All drinkable treats for the kids and your guests (water, coffee, juice, refreshments, beers, wine, energy drinks etc) must be purchased from our cafeteria. Prices for the products served in the cafeteria can be seen on the price list page. ♦ Can I bring my own edible treats (sandwiches, pies, etc)? 2. Our company cooperates for the part of the edible treats with Dante Di Verona pizzeria which has excellent and very high quality products. On the day of your party, without any stress, you will inform our staff upon your arrival and they will give you the catalog with the available options. Without any preparations, without any carrying, without any hustle you will offer to your guests excellent treats. Information about the products you can order from Dante Di Verona pizzeria, as well as their prices, can be found of the pricelist page. ♦ Can I bring my own cake? You can and this is actually the only option as we do are not involved in the cake supply. There is a fridge in our facility where we can store the cake during your kid’s party. We remind you that you must bring your own accessories for the cake serving (plates, forks, napkins etc). ♦ Is an Appointment needed? ♦ When I make a reservation, do I book the place exclusively? No. 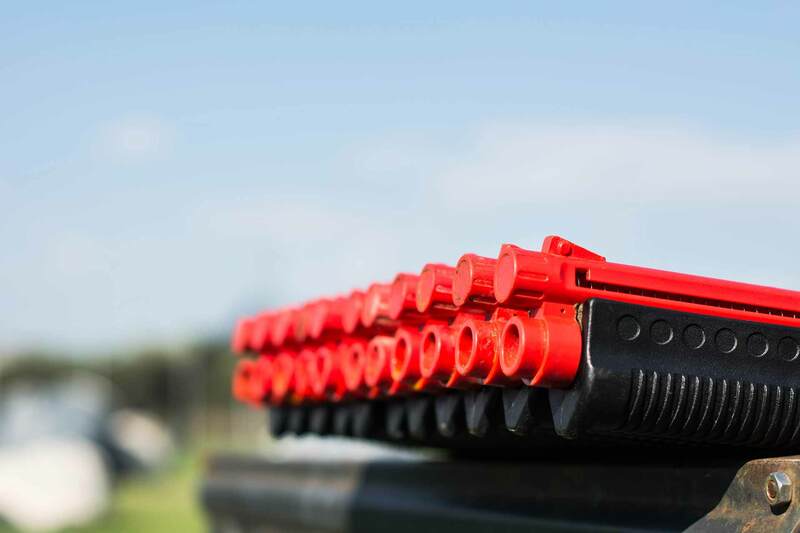 On our premises there are three Paintball fields and a pedal go kart track. It is likely that there will be other games going on at the same time as yours (whether these are other kid’s parties or games with adult groups, academy training etc). 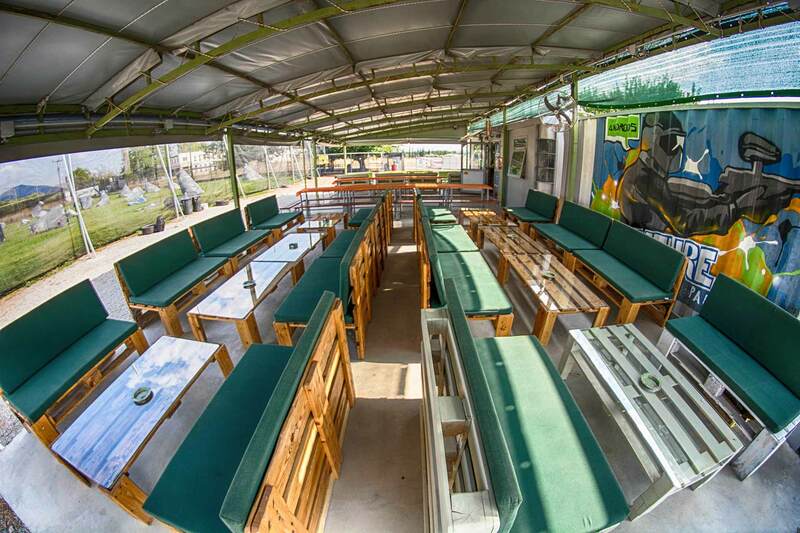 What we can promise you however is that you and your guests will have a comfortable place to sit and be served. We would also like to make clear that, no matter how many other games will run a the same time as yours, your kids will only play between themselves and will not get involved with other players during their game. ♦ Is an advance payment required? Yes, in order for an appointment to be valid, it must be accompanied with a 30€ advance payment, which must be settled no later than one week before the date of your party. The amount of the advance payment is of course deducted from the total amount paid on the day that the party will take place. The ways you can make an advance payment are listed on our pricelist page. ♦ What happens with the appointment in case it rains? We are watching the weather forecast very closely so that we know the weather conditions from the previous day. If the forecast foresees sporadic rain, then your party can be held normally (if the rain intensifies, we wait in the cafeteria until it slows down). In case of a more intense weather, we can reschedule your appointment for another day. If you need printable invitations for your kid’s party, you can download and print some of the original and themed invitations we have made. To send you the invitations, please contact us.